House Speaker Nancy Pelosi, dubbed by Caroline Kennedy as “the most important woman in American political history,” will receive the John F. Kennedy Library Foundation’s 2019 Profile in Courage Award, the foundation announced Saturday. 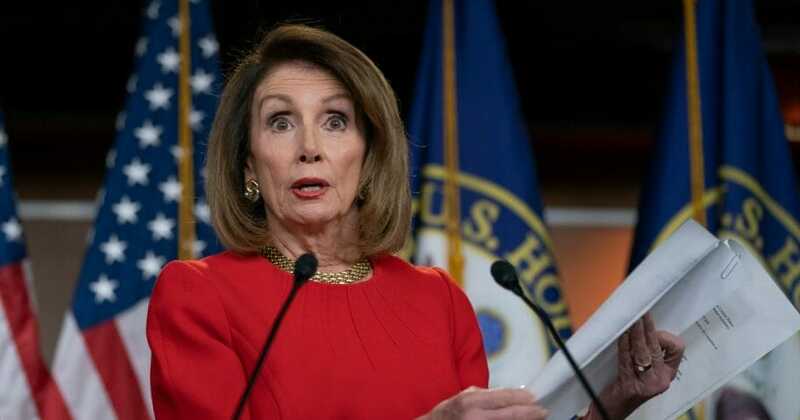 Among Pelosi’s achievements was, according to a foundation news release, leading the Democratic takeover of the House in 2018 an unleashing a wave of political diversity. “In 2010, amid a public climate of deepening polarization, Pelosi tirelessly spearheaded the passage of the Affordable Care Act,” the release said. The release focused much of its praise for Pelosi on the 2018 election. “Pelosi Illustrated her persistence and determination, as she set out to rebuild the Democratic Party in the image of America,” the release said. “In 2018, she led Democrats in electing the most diverse Congress in U.S. history — more people of color, more LGBT Americans, and a record setting 35 new Democratic women — including the first native American women and Muslim American women,” the release said. “With Democrats back in the majority, Pelosi elevated a new generation of leaders to leadership positions and skillfully united her party focusing on shared values, policy priorities, and a commitment to governing for the greater good,” the release added. In addition to passing Obamacare, the release said Pelosi helped pass legislation to “make historic investments in renewable energy resources, improve access to education, reform the financial services industry, and repeal the discriminatory ‘Don’t Ask, Don’t Tell’ policy that that barred gays and lesbians from serving openly in the U.S. military. “Speaker Pelosi leads with strength, integrity and grace under pressure – using her power to protect the most vulnerable of our citizens. She is the most important woman in American political history and is a true Profile in Courage,” said Caroline Kennedy, honorary president of the John F. Kennedy Library Foundation and the daughter of former President John F. Kennedy. “It is a great personal and official honor to receive the Profile in Courage Award, which stands as a powerful testament to the extraordinary legacy and leadership of President Kennedy,” Pelosi said. Do you think Nancy Pelosi deserves this award? “At President Kennedy’s inauguration, I was blessed to hear him speak of ‘the energy, the faith, the devotion…that will light our country and all who serve it — and the glow from that fire can truly light the world.’ It is inspiring that the award itself is a lantern, a manifestation of that light. That energy, faith and fire have inspired my work in the Congress and as Speaker, and it is my hope that my receiving this award will encourage others to pursue public service, and lead with courage, conviction and conscience,” Pelosi said. The award was created in 1989. Its title comes from the book, “Profiles in Courage,” which John F. Kennedy wrote. The book told the stories of American political figures who acted upon their beliefs without regard for the consequences. Past winners of the award include former Presidents Barack Obama, George H.W. Bush and Gerald Ford.